The fabrics are amazing! has always Little Castle Gliders has selected a wide selection of stylish and durable fabrics for their line of nursery gliders. 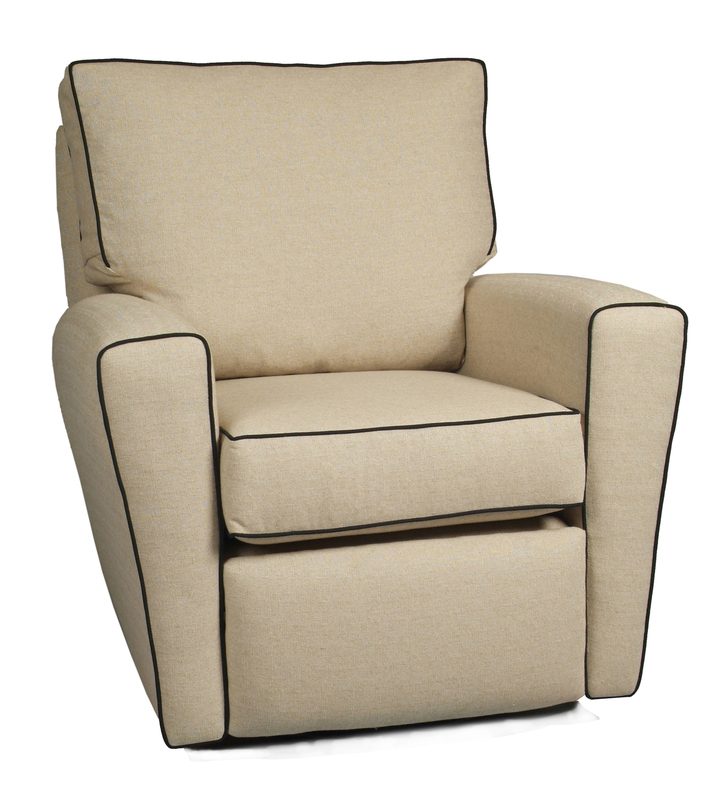 If you are looking into customizing your glider you can select a different fabric for the contrast piping and another fabric for the body of the glider. The new fabrics include a hot pink twill fabric and many fabrics in the gray shades which are very popular at this time. There is a variety of styles from traditional to modern gliders as well as the popular oversized chair and a half or a glider recliner. Little Castle also manufactures matching ottomans from gliding ottomans to stationary ottomans or the hassock which is a round ottoman that look adorable with a ruffled skirt. All gliders with a skirt can be made tailored or ruffled a few might have an upcharge to change from tailored to ruffled but there is always a world of possibilities to customized the perfect glider for you! You may also select your own fabric and send it to Little Castle to create your one of a king chair. As always you can request up to four free fabric swatches to decide on the perfect fabric for your nursery glider. To request the free fabric swatches send us your request to customersupport@royalbambino.com with the names of the fabric swatches you would like along with your name and address. The samples will be sent within 1-2 weeks. Give us a call at 877 506 1262 if you need assistance on customizing your glider or need any suggestions on the styles or fabric available. All new arrivals bedding is proudly handmade in the USA. 2-Piece Crib Bedding Set Includes: Sheet and skirt. 3-Piece Crib Bedding Set Includes: Sheet, Skirt, and Bumper. 4-Piece Crib Bedding Set Includes: Sheet, Skirt, Bumper, and Blanket. You can also customize the set by selecting a different fabric placement or a different design style such a gathered skirt or a different pattern for the crib sheet. The possibilities are endless. Contact us at 877 506 1262 or by email @ customersupport@royalbambino.com if you would like to make any changes. “Addison Nursery Bedding” , A delightful collection is designed with a whimsical floral fabric with coordinating zig zag fabric in beautiful shades of gray and pink. There is a variety of bedding accesories that will compliment your nursery including curtain panels. Addison gives your nursery a girly modern flair. All Sweet Potato bedding is designed and manufactured in the US with attention to all details. Sweet Potato bedding is stylish and affordable. The Addison nursery bedding set is available in a 4 pc set, 3 pc set or you may also purchase invidual pieces as well. 4 Piece Crib Bedding Set Includes: Quilt, Bumper, Fitted Sheet and Crib Skirt.